PHOIBOS aims at providing the technological and scientific base for a novel generation of highly integrated optoelectronic systems. Such systems are key to overcome transmission bottlenecks in large-scale data centers, optical access networks, and high-performance computing. 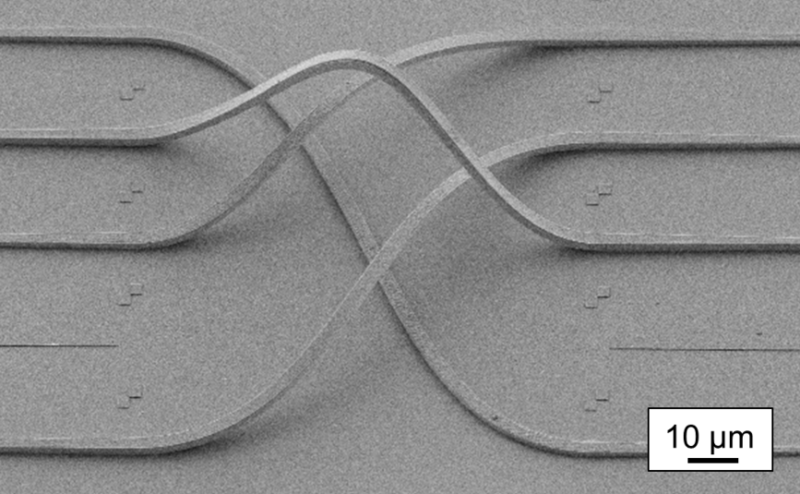 PHOIBOS builds upon the concept of photonic wire bonding to connect integrated photonic circuits across chip boundaries. The concept exploits direct-write multi-photon lithography for in-situ fabrication of three-dimensional freeform waveguides, thereby making high-precision alignment of the optical chips obsolete. silicon nitride and related material systems for high-quality passive devices.